Home / affordable headset / fun run / plantonics / Join Plantonic BackBeat Run and get a FREE Bluetooth Headset. Join Plantonic BackBeat Run and get a FREE Bluetooth Headset. Great news to all runners and audiophile, as Plantonics together with Brother will having its first Fun Run for a cause event titled, Plantonics BackBeat Run happens on May 28 at SM Mall Of Asia. An ultimate summers party and run experience. Enjoy live music, dance and get ready to get wet and win amazing products. Store registration is open until May 15,2017 only. Race Packs include: Race Bib, Singlet, Slap bracelet, String bag, Sun Visor and Finishers Medal. 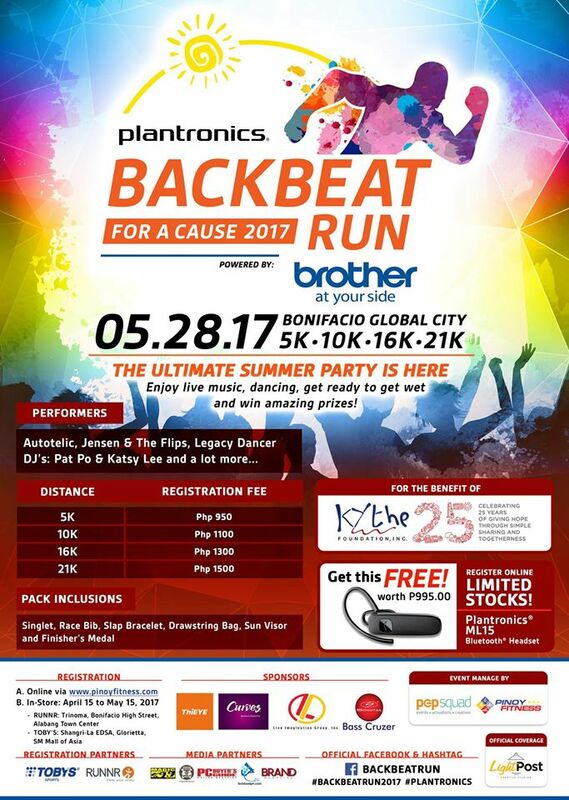 to learn more about the Plantronic BackBeat run, visit here.